Write, Touch or Type – the choice is yours so you can use whatever works best for you. 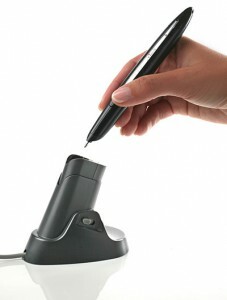 Use a Digital Pen to complete forms, write and draw naturally, add notes to files, sign documents. Use a Smart phone or Tablet to complete forms online or offline, skip through questions, add photos, and GPS coordinates. Use a keyboard on a Tablet or Laptop – Magicomm want you to use what’s best for you. OpenForms® is based upon closely-listened-to-feedback from a range of industry sectors. The application has been developed and refined specifically for the needs of forms based system and delivers an incredible range of functionality. All forms data for integration with your existing back-end systems can be efficiently checked. Full Page and toggle between “ink” and “text” view is available, split screen – “ink” top “text” bottom with synchronised scrolling and the popular ink-snippet field view. 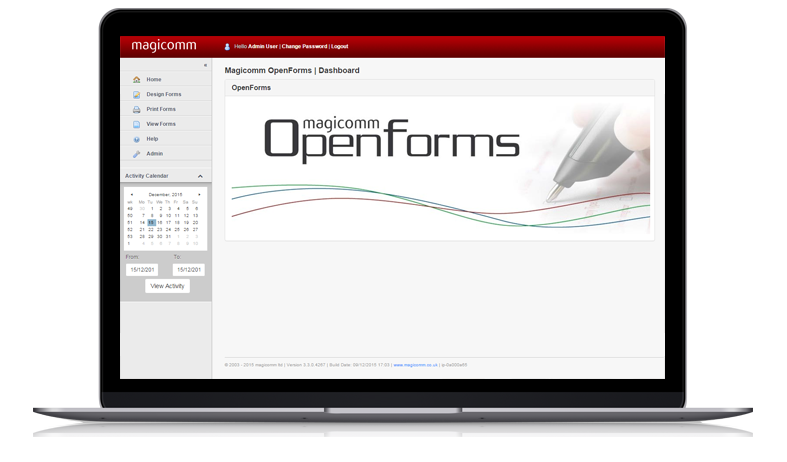 We have been using Magicomm’s OpenForms platform for our sales order data-capture and integrated it with our Blue Box sales order processing system. Since going down this route we have speeded up the data capture massively and have freed up a member of staff that was previously re-keying all orders received. Magicomm understood our requirements from the outset and have met all of our expectations and some. We, at T2 Technology, were using a solution from a different supplier and achieved limited benefits which were a lot less than expected. We were about to give up on digital pens when we came across Magicomm. We jumped ship and deployed Magicomm’s OpenForms platform which is brilliant and does deliver to our expectations and more. We are expanding the number of forms for use with digital pens. Magicomm has been, and continues to be, a company that we can rely on for integrity and support. We have no hesitation in recommending Magicomm and the OpenForms platform. The OpenForms digital pen platform has proven to be capable, user friendly and reliable which is essential in our business. As a company Magicomm has consistently demonstrated its commitment to provide us with excellent customer service. 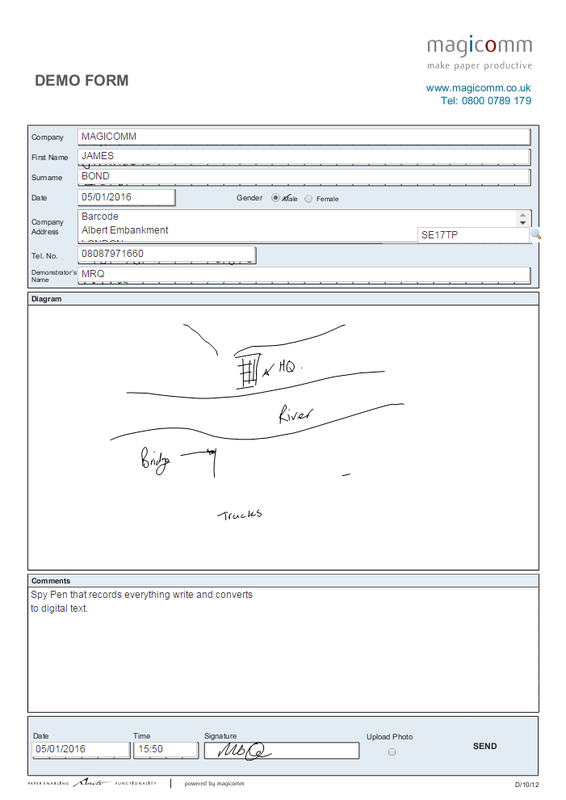 Using the OpenForms platform enables our business to develop forms on a real time basis. In a 24/7/365 service industry, it’s paramount we’re able to be flexible with our customer demands which, consequently, means our method of recording and reporting has to be easily adaptable too: OpenForms successfully provides this. Magicomm’s team of developers provided excellent technical support when aligning our administration procedures. The OpenForms solution is now integral to our business. 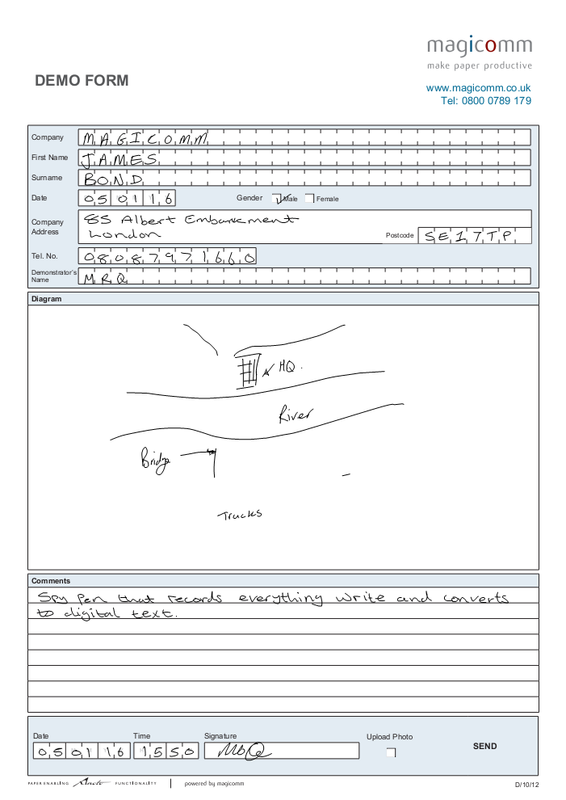 Our engineers are able to submit paperwork back to the local contact instantly, giving us complete control and visibility of the work being carried out. The system has proved itself time and time again to be both reliable and user friendly. Magicomm has demonstrated an excellent level of service from day one. Their support is second to none. The digital pen technology has allowed our business to react quicker to our customer needs – the information comes in from the field straight into our system, allowing our service administrators to process the paperwork quickly and efficiently. With 23 mobile service engineers to look after, having a user-friendly and reliable system is extremely important to us, along with the excellent back-up support that Magicomm consistently provides. Book your online demo today.